It is better to exchange currency in a bank and ask about he current rate and bank commission in advance. 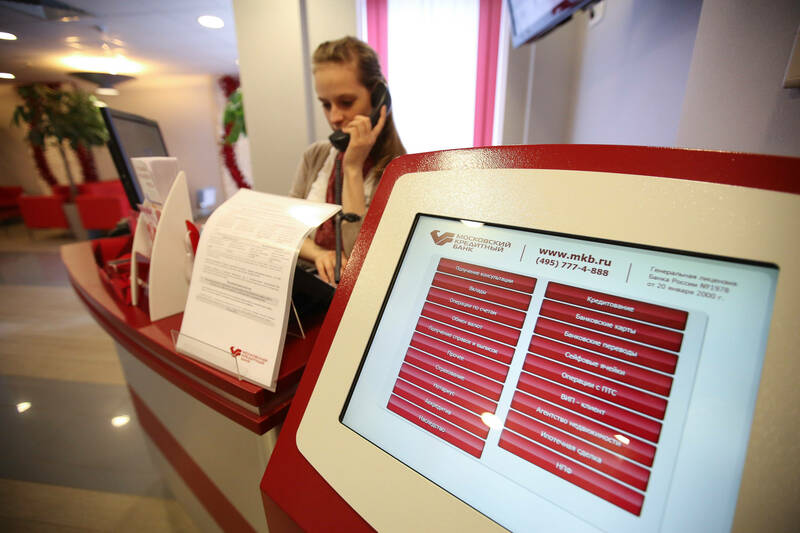 For money transfers there is a wide network of Western Union and Moneygram points in Moscow . 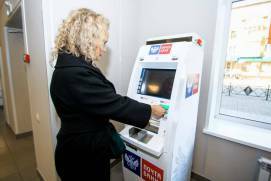 There are a lot of ATMs installed in supermarkets, banks and cafes. 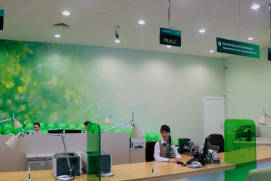 The undisputed leader among banks in terms of coverage and reliability is Sberbank. In most places in Moscow, you can pay with a Visa, Mastercard or MIR card. 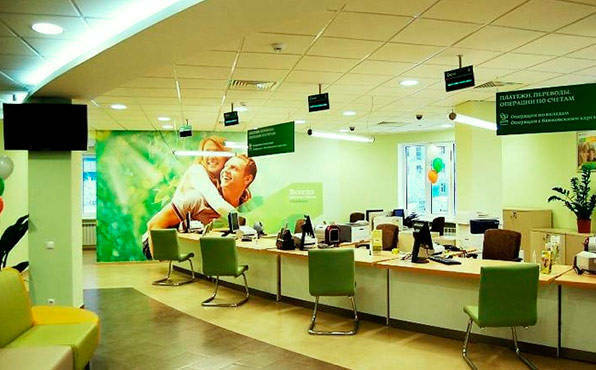 In this section you will find general information and advice on currency exchange, as well as recommendations on money transfers abroad and how to use banks and ATMs. You have to present a valid Identity Document (most likely your passport). 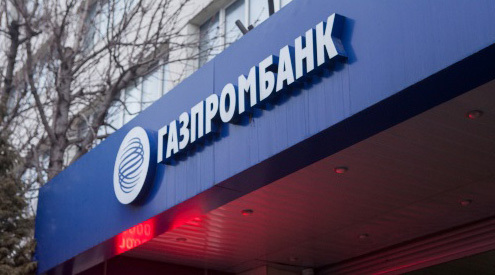 When exchange of an amount equal to or exceeding RUR 15,000 a bank offers to undergo a special questioning. The special questionnaire must indicate the full name, the date of birth, place, citizenship, actual address of residence. Additionally, bank employees can clarify contact information, find out the financial position, source of income and business reputation of the client. Keep in mind the customs limits for currency import and export. You have to declare any sum that exceeds the equivalent of USD 10 000 when importing and the equivalent of USD 3 000 when exporting. All banks must issue a receipt when you exchange currency. The receipt must contain the information on the commission that you’ve paid as well as the current exchange rate. 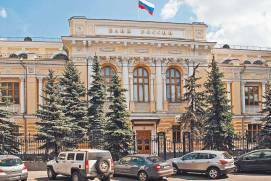 The acceptable exchange rate for US dollars and euros should be within 2% difference from the current rate set by the Central Bank of Russia. Normally, you should not be charged any extra commission for the exchange service. 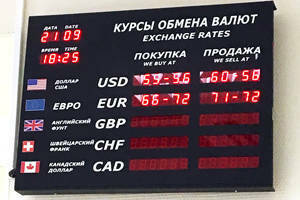 – the exchange rate indicated on the information board in the street is not the one that is actually offered. 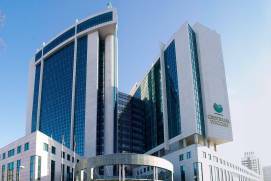 For example, it can turn out that the exchange rate shown outside is valid for amounts over USD5000 only, and for smaller amounts the rate will be higher by 10%. 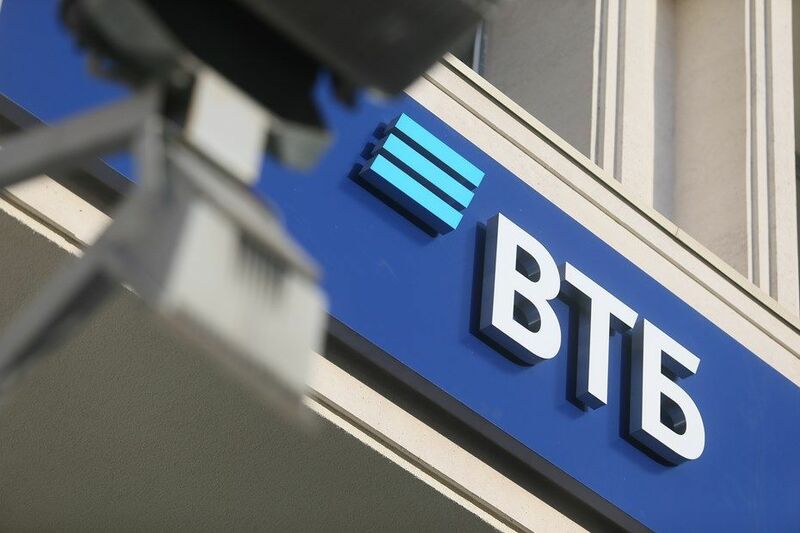 – extra commission is charged for the exchange service.For this reason we strongly recommend either completing all your currency transaction in the branches of larger well-known banks or carefully checking the terms and ask the cashier to show you the amount that you will receive upon completion of your transaction. It is best to avoid exchange offices where the displayed sell rate and buy rate difference is no greater than 0.5%. Just think logically, how would they earn money then? Surely they do not work for free. 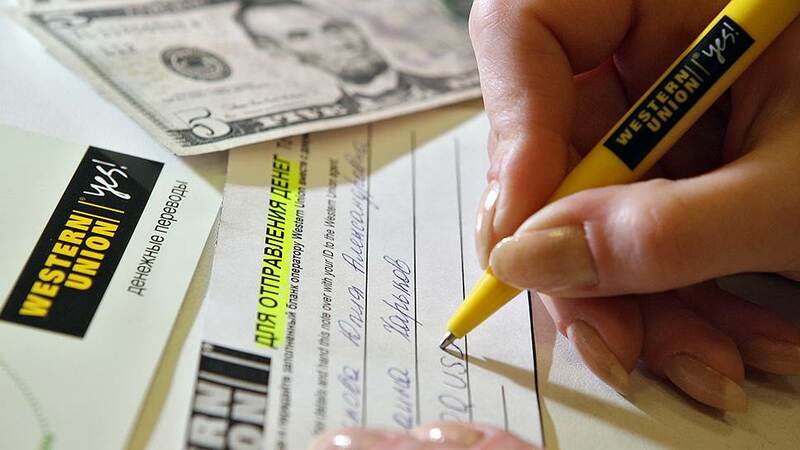 Before starting a transaction, tell the cashier that you need a receipt upon completion. A reliable bank will give it to you either way, however a refusal means that something is not right. 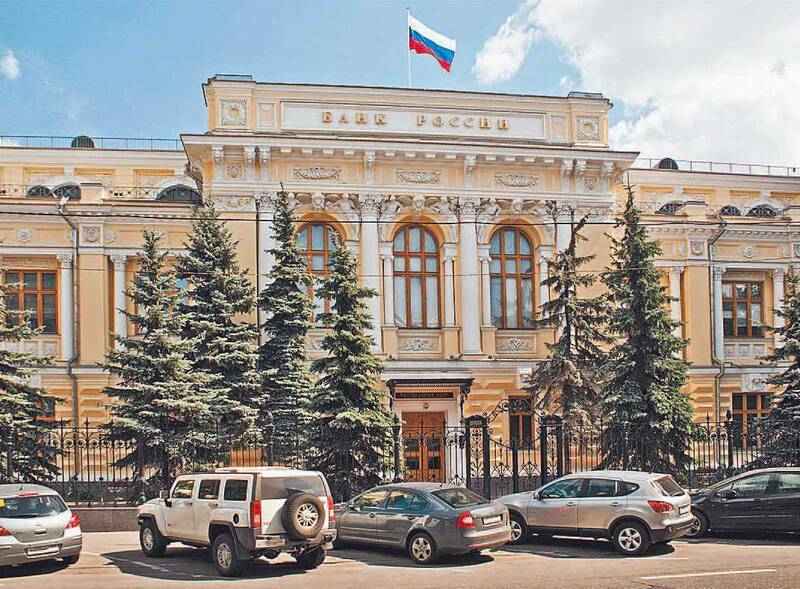 Generally at the airports the, exchange rates are 5-10% higher than the Central Bank of the Russian Federation rate. 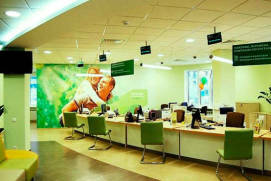 You will usually get a much better deal in any bank branch in the city. Try not to exchange lump sums of money (over USD5000) at once without any real necessity. Do not make it obvious to anybody (be it an exchange office representative, or casual visitors) that you are carrying a large amount of cash. 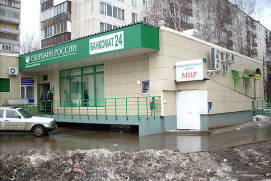 Global providers such as Western Union (www.westernunion.com), Moneygram (www.moneygram.com) are widespread in Russia. 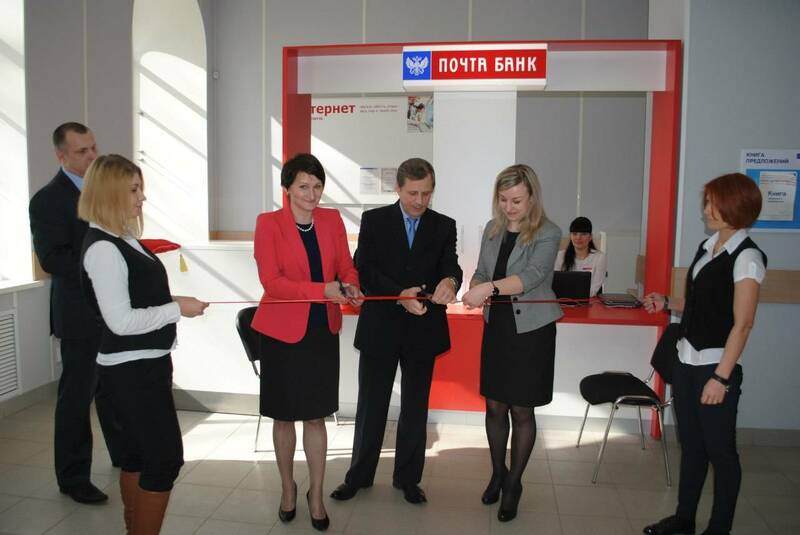 In Moscow these two companies have approximately 5000 locations in collaboration with dozens of banks, Russian Post, mobile service stores. You can send in either rubles or dollars if sending it via the bank, and rubles only if you are sending it via non-bank providers. The recipient will be able to pick the money within 15 minutes after the completion of the transaction during working hours of the participating provider worldwide. You will need to fill out a form and usually very little recipient information is required. A valid passport must be presented when sending or receiving the money transfer. For more details about the money-transfer services please visit the provider’s website. You can also find the nearest point using a convenient mobile application with Moscow maps. 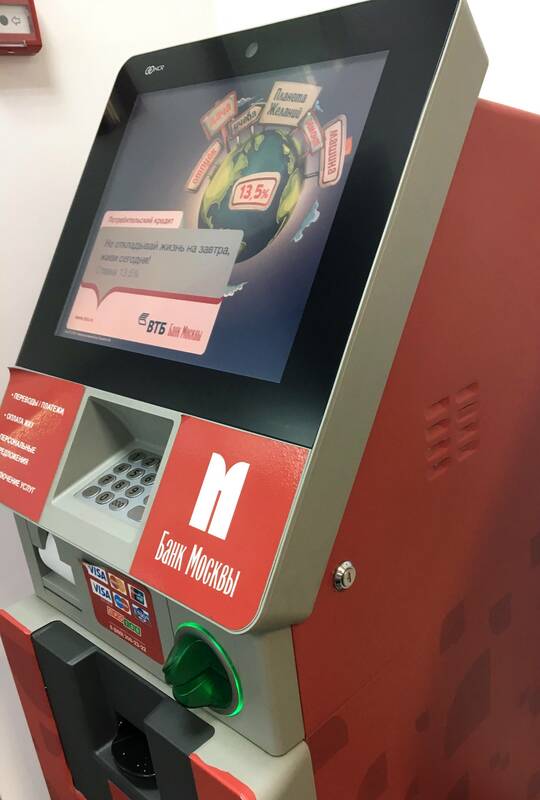 If it is an emergency and you have no way of getting the information online, then during working hours within 200 meters proximity of any central metro station you will be able to find at least one of the money transfer service providers. 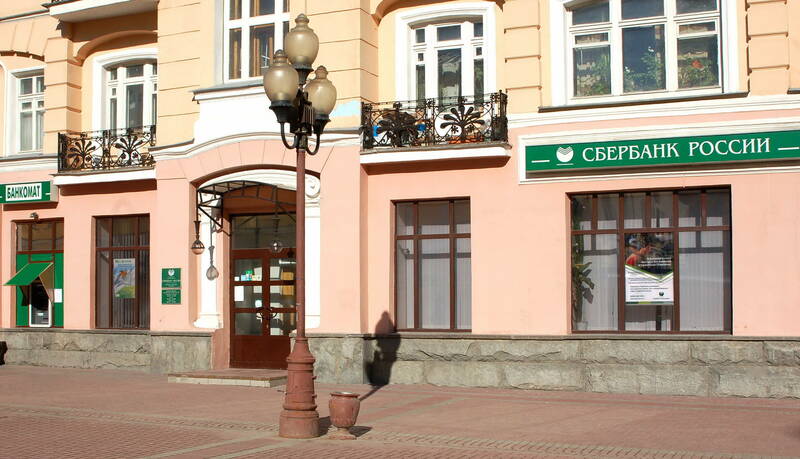 Pay attention to stickers with logos of money transfer systems on doors of banks and post offices, as well as mobile service stores. 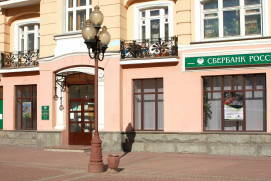 A wide variety of bank branches as well as the leading global card payment systems (Visa, Mastercard, Maestro, American Express) operate in Russia. 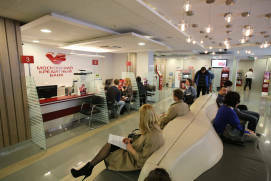 In most cases you will easily find many options for cash withdrawal in Moscow. Also you can pay by card at most shops and restaurants. 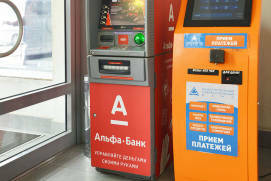 The overwhelming majority of ATMs dispense rubles only, therefore if you need to withdraw currency other than rubles you need to check in advance whether the ATM is able to accommodate this. 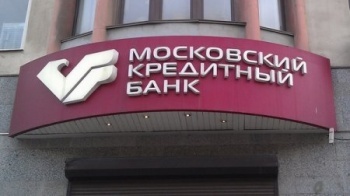 It is worth checking the website of foreign banks in Moscow. Generally, their websites will have an English version. 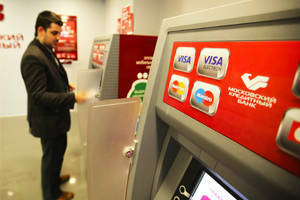 Visa and Mastercard are the most accepted cards in Russia. It is best to have one к both of these cards with you. Smaller cafés and shops, street food vendors and souvenir stalls do not usually have a card terminal. So you will need some cash in case you would like to purchase something in one of these places. 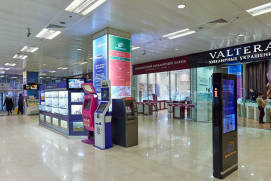 ATMs are located in bank branches, in the street, in public places (supermarkets, metro, railway stations). 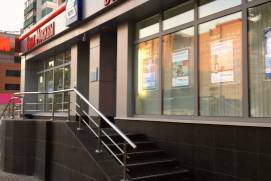 For security reasons it is best is to use an ATMs located at one of the bank branches, as in some cases there is a possibility of card fraud devices being installed in outdoor ATMs. Generally, ATMs belonging to large banks have an English interface. 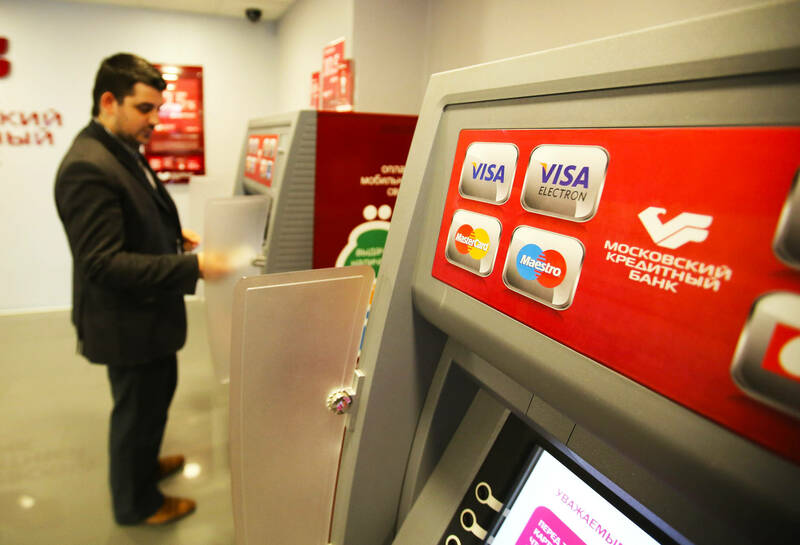 Rosbank ATMs (Societe Generale Group) have English and French interface while ATMs of Unicredit bank have English and Italian interface. 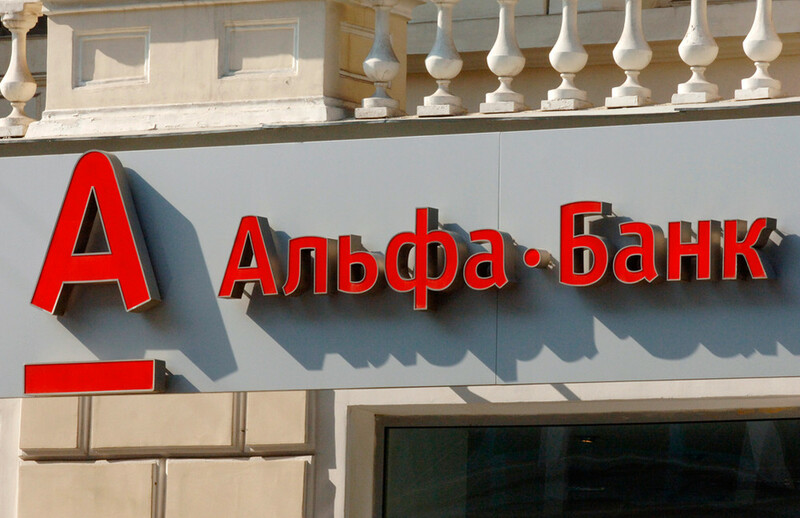 When planning your trip, find out from your bank what commission will be charged for withdrawing cash using your bank card in Russian ATMs, and if there are partner banks that offer lower rates. 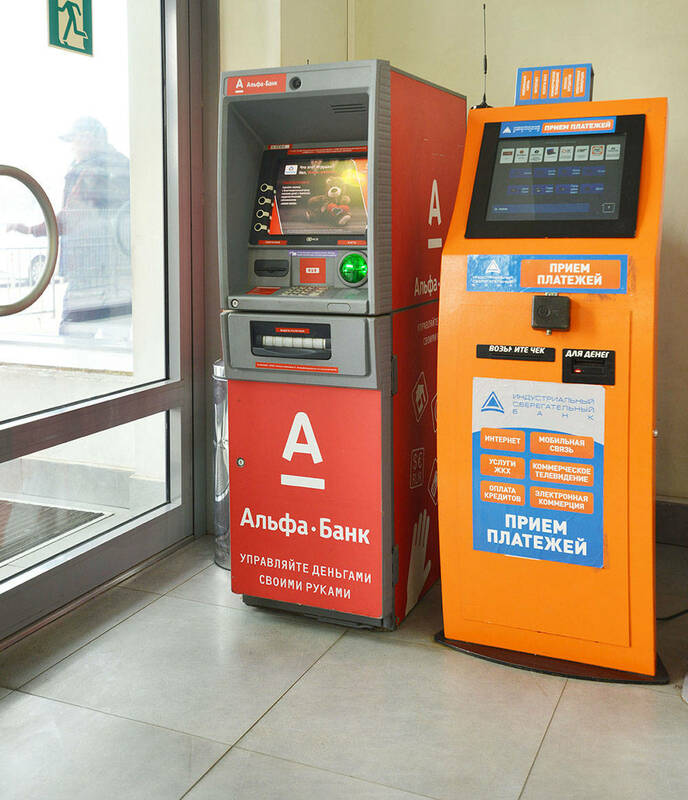 The majority of ATMs display the commission rate for withdrawal that will be charged by the Russian bank, but they cannot show the commission rate that will be charged by your bank. 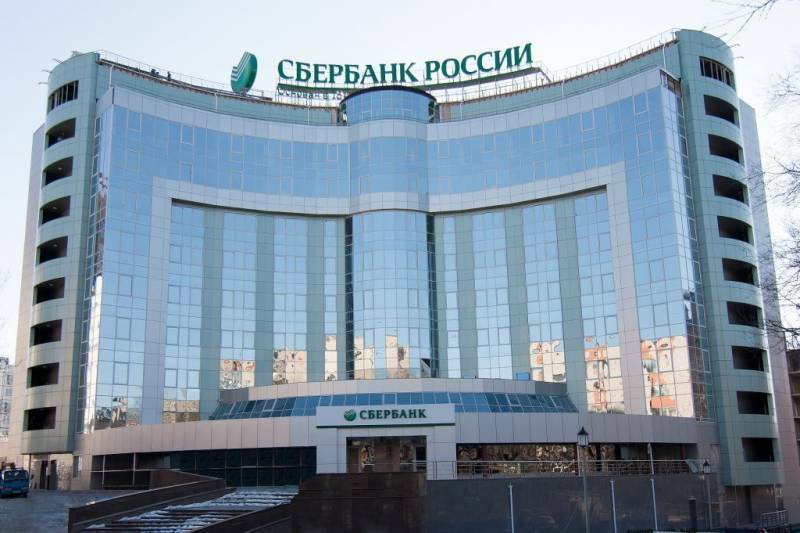 Sberbank (Сбербанк – rus.). 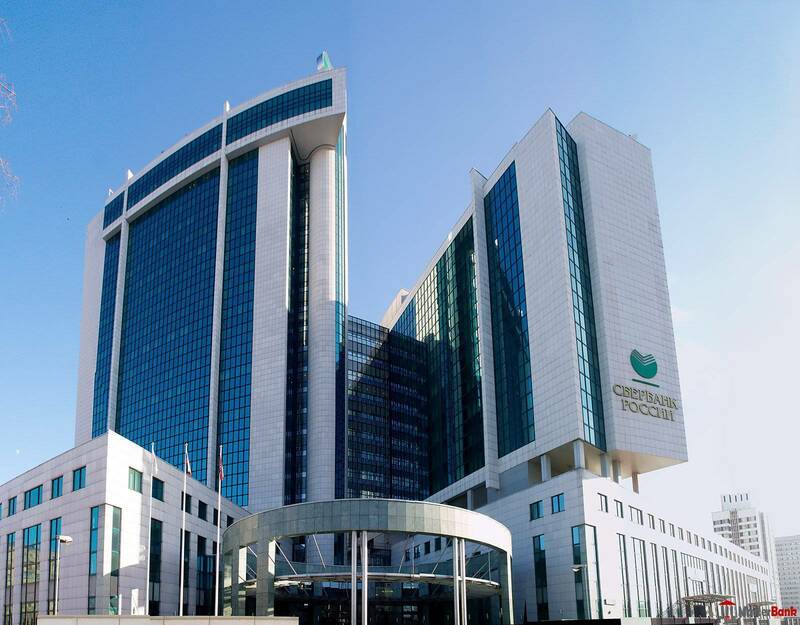 The bank is controlled by the state and is the absolute leader with 600 offices and 1300 ATMs in Moscow. The bank is controlled by the state. 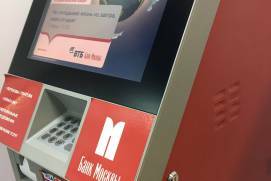 More than 200 offices and 800 ATMs in Moscow, including ATMs at Metro stations. 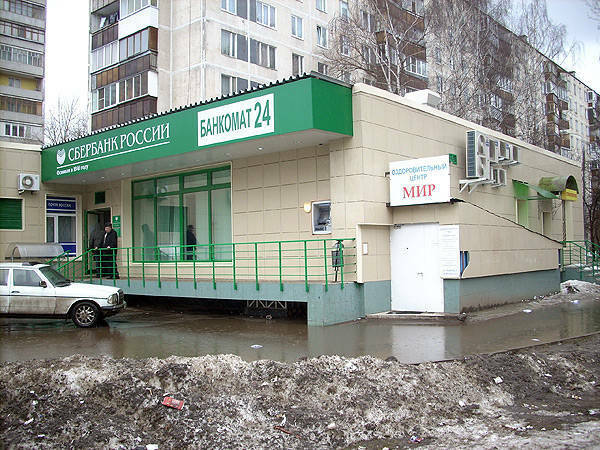 The bank is controlled by the state..
24 offices and more than 200 ATMs in Moscow. 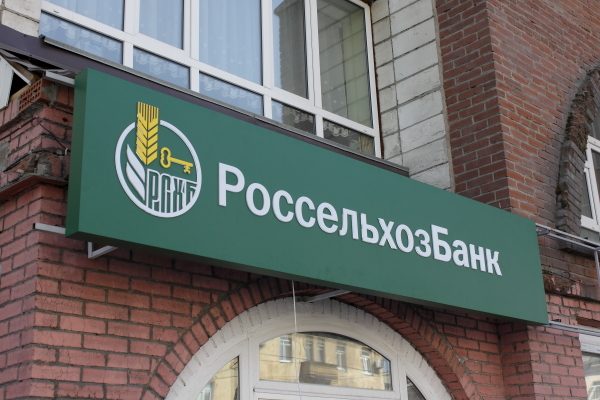 Rosselkhozbank (Россельхозбанк – rus.). The bank is controlled by the state. 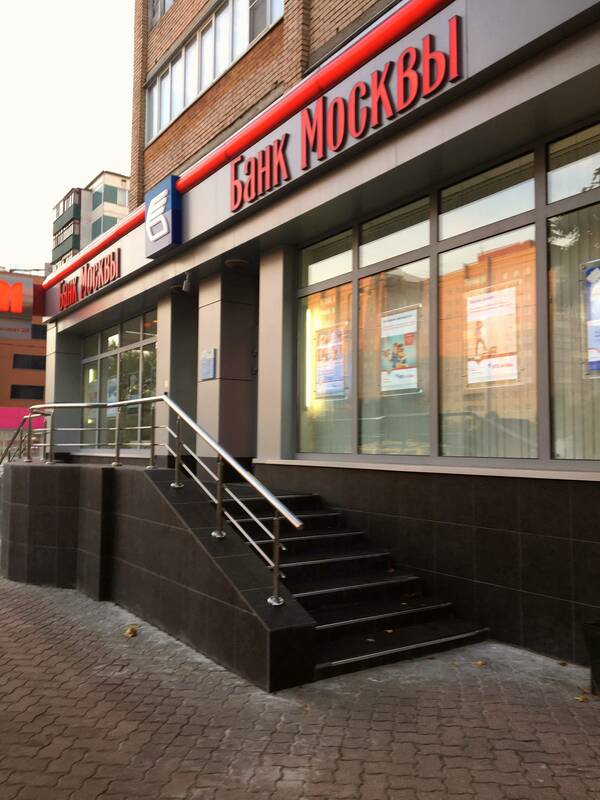 34 offices and around 50 ATMs in Moscow. 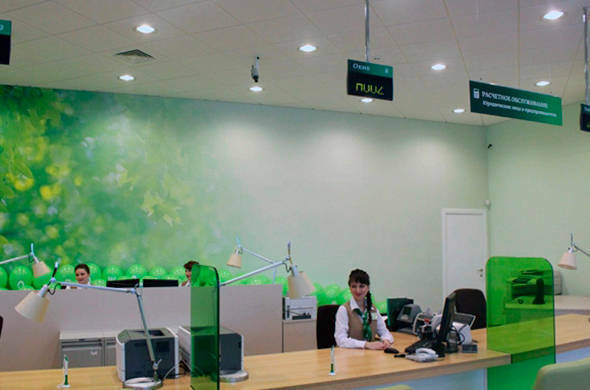 The largest privat bank in Russia. 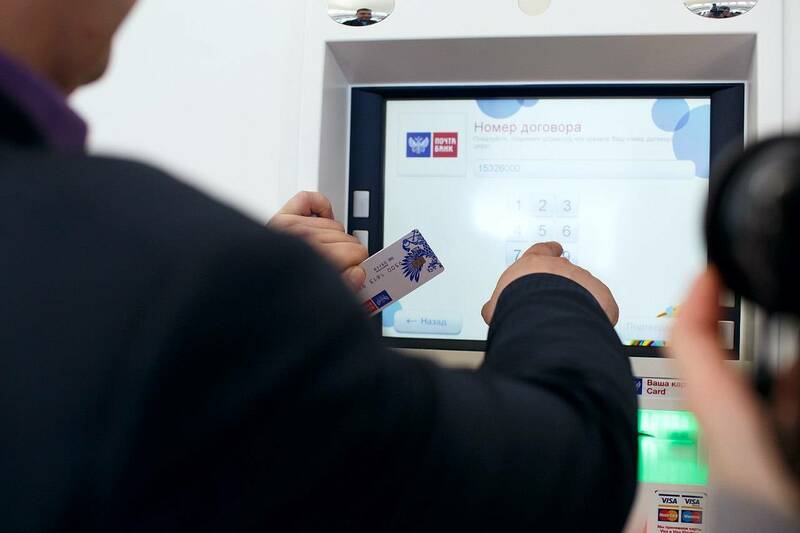 146 offices and more than 300 ATMs in Moscow. 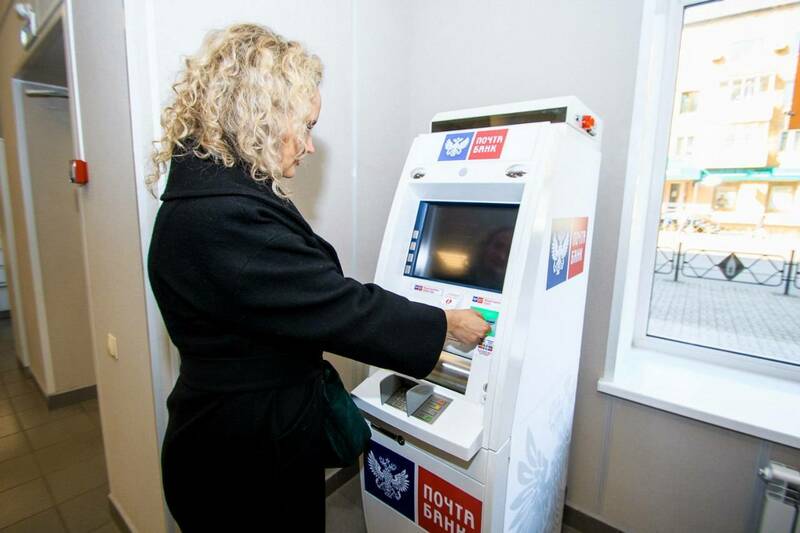 97 offices and more than 500 ATMs in Moscow.